The Glenlivet and Tomintoul area is one of the best places in the Cairngorms National Park to discover the wonders of the night sky and is the most northerly Dark Sky Park in the world and among the darkest skies in the UK! Not only does this remote area have stunning dark skies but it also has easy access allowing everyone to enjoy a night sky brimming with stars. Indeed the high quality of the night skies above Tomintoul and Glenlivet have been awarded the prestigious status of International Dark Sky Park, making it the most northerly Dark Sky Park in the world and among the darkest skies in the UK. Our dark skies can be enjoyed by everyone, from the experienced astronomer and telescope user, night time photographers or for anyone interested in finding about the night sky. The best time for star gazing is during the darker months of the year from October to March. 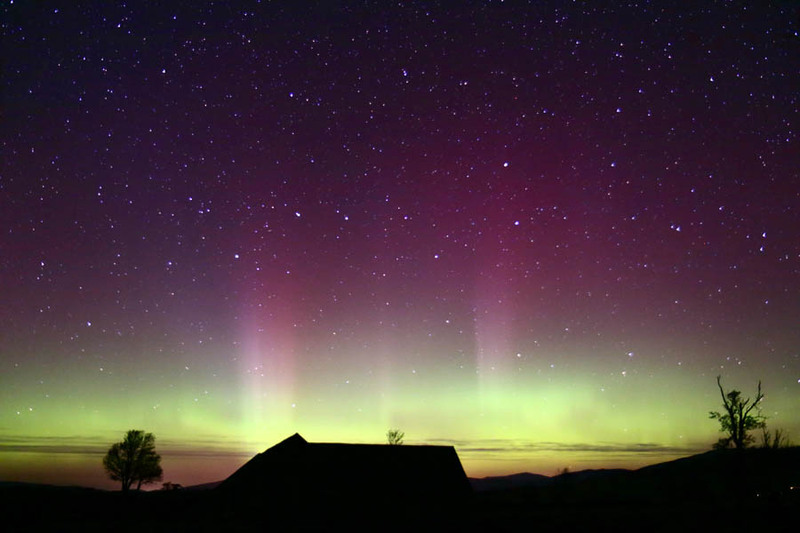 Why not visit the 3 Dark Sky Discovery Sites within the Glenlivet Estate, which provide great views of the night sky. Parking and interpretation can be found at Field of Hope, by Tomintoul, The Carrachs in the Braes of Glenlivet and Blairfindy Moor. Or come along to a Dark Skies events, with a chance to view the constellations and night sky phenomena through telescopes, and learn about the night sky. Find out more about Dark Skies events. For astro-photographers, the viewing opportunities are endless. A network of waymarked paths through the Glenlivet Estate will guide you to the many vantage points with big skies and distant horizons. The Tomintoul and Glenlivet Dark Sky Park not only recognises the exceptionally dark skies of the area, but also the work of volunteers locally who are committed to reducing light pollution. Through the Dark Skies Project, and the support of the Tomintoul & Glenlivet Landscape Partnership, volunteers are working with farms, distilleries, Moray Council and households to reduce light pollution through promoting environmentally responsible lighting. This will bring many benefits to wildlife, energy consumption and human health as well as preserving the beauty of the night sky.